For an icebreaker, we played "Don't Blow the Joker" from our previous Minute to Win It program. Playing these Minute to Win It games is something I've been experimenting with and so far it seems to be working really well. The kids get really into it! Since I was only expecting a handful of tweens (only 4 came), I only used one bottle and one deck of cards, all stuff we had lying around the library. None of us were able to complete this challenge (yes, they made me try it too!). The girls wanted to try this game again next month and they also wanted to repeat the Book Scramble from last month. So I guess I have some homework to do sourcing a bottle with a flatter top, older cards that don't stick to each other as much, and cutting up book covers. Our last activity was a creative writing exercise, inspired by a people-watching game the main characters in the book (Xena and Xander) play where they people watch and try to guess the occupations of strangers. Before our meeting, I printed off about a dozen images of people of all ages from the Internet and hung the photos around our program room. During the meeting, I gave each kid a sheet I whipped up to guide them in making observations about one of the people in the photos. I asked them to do this silently. At the bottom of the sheet was a space for them to write a paragraph about the people answering the question "What happens to this person immediately after the photo was taken?" The kids took this really seriously and made great observations. Most of them were willing to share what they wrote and I really enjoyed hearing what they had to say. One of the girls asked if she could take all the photographs home with her so she did. Feel free to use or adapt my sheet for your purposes. 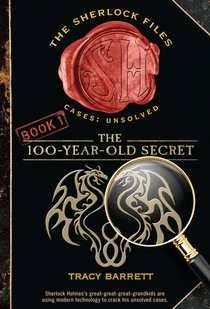 One activity I wish I had down would be to show the kids how to use our microfilm readers as one of the places Xena and Xander go to research the missing painting in this book is the library. They do some microfilm research and I thought today's kids might get a kick out of seeing how microfilm works and doing some of their own research. Next month's book club is The False Prince by Jennifer Nielsen, one of my favorite books from the past few years. I like to end book club by showing a book trailer for the next book. I showed the official video from Scholastic's False Prince site. Thanks for making this available, Scholastic!